When you think about the great state of Texas, the first thing that probably comes to mind is the solitary cowboy riding a horse through a dusty cactus-covered plain. If that’s as far as your thinking goes, then you’re missing out. From the lush pine forests of East Texas to the breathtaking mountains of El Paso, you can find just about everything in the Lone Star State. Thanks to the state’s great diversity in its landscapes and people, as well as its remarkable history, there are many things to do in Texas. So, where do you start? Right here, of course! We’ve assembled a list of the top things to do in each region of the state that you can use for inspiration while you’re planning your next amazing adventure. If you want to know more about the things to do in each city in a particular region, click on the link at the bottom of each section. The breathtaking mountains, rugged canyons, arid valleys, and luminous night skies of Big Bend National Park have made it an enduring symbol of the West Texas and the Lone Star State. This wild land, once submerged by a great ocean, is now one of the state’s most popular recreational areas. You name it, you can do it in Big Bend. Hike the more than 200 miles of trails, enjoy some of the best scenic drives in Texas, explore the rough backcountry terrain on horseback, or kayak down the flowing Rio Grande River. Once the sun sets, huddle by a campfire and gaze at the pitch-black night sky as it’s illuminated by thousands of shining stars. Arresting views and unforgettable adventures define any visit to Big Bend, an experience that should be on any Texas traveler’s bucket list. View more things to do in the Texas Big Bend Country. Texas may be best known for its cowboy heritage and delicious barbecue, but the Lone Star State is quickly gaining fame for something else: wine. You may be surprised to find out there are award-winning wineries and vineyards across the state. But the greatest concentration of these wine producers is within a region known as Texas’ wine country. 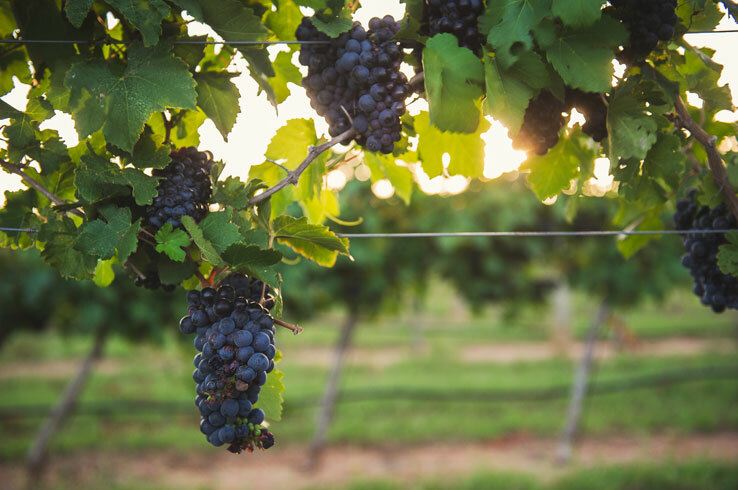 More than 40 wineries and vineyards occupy a stretch of scenic land that runs from Austin west to Fredericksburg and New Braunfels north to Lake Buchanan. Many of these wineries produce their reds and whites from grapes grown right here in Texas, giving you tastes you won’t find anywhere else. You can typically sample these wines at each winery’s tasting room, or go on a tour of each vineyard to learn how wine is made. With so many world-class wineries in the Texas Wine Country, why go to Napa Valley? View more things to do in the Texas Hill Country. The Texas Piney Woods region is famous for its quaint towns, charming bed and breakfasts, breathtaking lakes, and forests that explode with autumn color. Although there’s plenty to see and do in the piney woods, which includes the likes of Tyler and Longview, one of the best ways to experience it is on the road. Drive on almost any of the small two-lane highways or farm-to-market roads in the area and you’re practically guaranteed a show. But there are a few routes that you can’t miss while you’re here, including Highway 7 in Davy Crockett National Forest and Highway 87 through the Sabine National Forest. Regardless of which road you take or where you’re going, driving through the Piney Woods is an experience like none other in Texas. View more things to do in the Texas Piney Woods. Travel to Texas’ Rio Grande Valley and you may just see an unusual sight: a flock of red-crowned parrots or green parakeets perched on tree limbs, street signs, and buildings. Don’t worry; these aren’t escapees from a tropical exhibit at a zoo. Instead, they are among the more than 500 species of birds that call the area home throughout the year. The valley - situated along the U.S.-Mexico border from Roma to Brownsville - resides in the middle of a major migratory bird path, making it one of the best birding destinations in the United States. Want to experience it for yourself? Head to the World Birding Center, a collection of nine nature parks peppered throughout the valley. Each park has scenic hiking trails, observation platforms, and enclosed blinds built to provide the best possible birdwatching experiences. For the ultimate birding experience, attend Harlingen’s RGV Birding Festival held in November, the peak of the birding season. View more things to do in the South Texas Plains. Rocky desert canyons, lush pine forests, and … pristine white-sand beaches? Yes, Texas really does have it all. If you’re looking for that perfect beach getaway, the Texas Gulf Coast is the place to be. Each of the many towns nestled on the coast stand out in their own way. South Padre Island, Texas’ most southern beach town, is a quiet town (except during spring break) famous for its immaculate sand and crystal-clear water. Corpus Christi, on the other hand, is a bustling city home to bigtime museums, such as the USS Lexington aircraft carrier, and an enthralling blend of Mexican and American culture. Meanwhile, a trip to Galveston Island is like a step back into the past. Here you’ll find a stunning array of beautiful historic homes, churches, and other buildings that date back to the 19th century. These are, of course, just a few of the fantastic towns in the Texas Gulf Coast. No matter where you go, you’ll always want to come back for more. View more things to do in the Texas Gulf Coast. Is there anything more Texan than munching on a big plate of barbecue and watching a musical about the Lone Star State while sitting in an amphitheater in the middle of a magnificent canyon? This is the experience you’ll have at Texas! The Musical, a world-renowned performance that retells the exciting stories of the settlers of the Texas Panhandle in the 19th century. The show begins with the appearance of a lone horseman carrying a massive Texas flag atop a 600-foot-cliff, a stunning sight that sets the stage for the rest of the show. More than 60 actors sing and dance to rousing music punctuated by scintillating special effects and a heaping serving of Texas-style humor. Performances of Texas! The Musical are held at the Pioneer Amphitheater in Palo Duro Canyon – the second largest of its kind in the country – from June until the middle of August. If you’re near Amarillo during the summer, don’t miss this spectacular show. View more things to do in the Texas Panhandle Plains. Dallas and Fort Worth. The Big D and Cowtown. These two major North Texas cities may be neighbors, but they couldn’t be more different. Dallas has always been considered the refined “big city,” a far cry from Fort Worth’s trademark cowboy charm. Enjoy fine dining at Dallas’ five-star restaurants and upscale shopping in sprawling malls, or “cowboy up” in the Fort Worth Stockyards, where you can get a drink at an authentic saloon or attend a rodeo. Despite their differences, both cities have much in common. For instance, Dallas and Fort Worth are home to a staggering array of world-class museums to visit, parks to play in, and historic architecture to admire. Together, they form one of the largest and most diverse metropolitan areas in the country. And since Dallas and Fort Worth’s downtown areas are just 30 miles apart, both worlds are always within reach. View more things to do in the Texas Prairies and Lakes.